Little Forest Folk are delighted to offer Professional Development Training Days. We hope to inspire others, with the goal of providing more children with the childhood they deserve. We know so many of you are extremely keen to see what we do here at Little Forest Folk, to feel inspired and to ask those burning ‘how do you..?’ questions, we are excited to have, in 2018, launched our Little Forest Folk training days. Little Forest Folk training days take place in Wimbledon, South West London on selected dates for small groups. Learn more and book a place below. 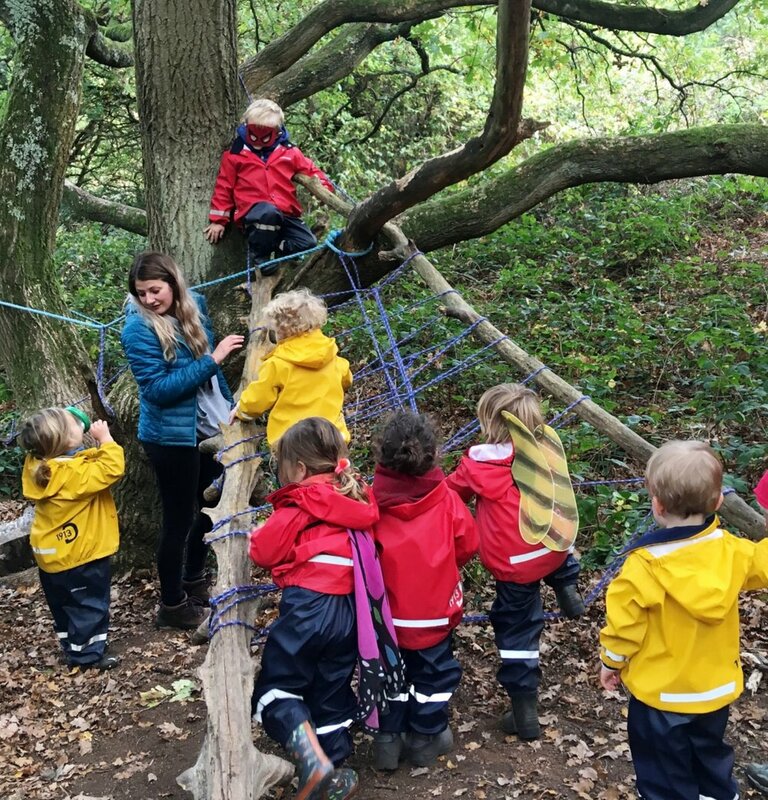 Our CPD training days combine the unique opportunity of learning all about Little Forest Folk’s ethos and the theory behind outdoor learning along with visiting two of our forest nurseries and getting to spend time in the forest and seeing it in action. We started these training days to share what we do with others in the industry with the hope of getting more children outdoors into nature. Please note, we can arrange exclusive training days for groups with a minimum of 10 attendees, please email us to find out more at carly@littleforestfolk.com. Please arrive no later than 15 minutes before the start time. Are there any hotels near-by we can stay at? The Travelodge at Durham House is a stones throw away from Raynes Park Station and offers affordable accommodation. A short walk from Wimbledon station, and you have a choice of few when travelling down Worple Road or Wimbledon Hill Road. How will we be travelling to each site? We will use our Little Forest Folk minibus for transportation. A picnic style lunch will be provided around midday at the Windmill, Wimbledon Common. There is every chance you will get wet and muddy during your training day so please check the weather and wear appropriate clothing and footwear for the day! We'd recommend you bring a bottle of water along and a pen & paper so you are able to jot down any questions you are eager to ask! What if I am running late or unable to attend? Please contact carly@littleforestfolk.com as soon as possible. Can I cancel my training day? Yes, we can offer a refund up to 21 days before your scheduled training day. We will deduct a £20 admin fee per cancellation.